As you might have already heard, Gulp.js is toolkit for automating tasks and many developers already using it to save time and to increase productivity. However, for an HTML Developer without a programming background its a tough task to get your hands in. Do not worry, I was on the same boat. So today I will show you how you can build a project with little help of Gulp. So, Let’s start the gulp tutorial. Do I really need to use Gulp? So, if you need to automate any of the features listed above, You’ll need Gulp. Lets start installing our required softwares and plugins. Open your command line and check whether its installed properly by typing the following command. A note on Command line: Mac and Linux already have a fully featured command line, but Windows does not have that. Some of the latest Windows version comes with Powershell. So check if you have powershell available, or else you can install that from Microsoft Website. This will install Gulp using Node package Manager NPM globally (-g) so that we can use gulp anywhere in the system. Now, create few folders for our source files and build files. I’ll be using src for source files (HTML, CSS, Images etc.) and dist for production. The root folder will contain the node_modules, package.json and gulpfile.js files. Lets create a package.json file to set up Node.js in that directory. Open your command line and navigate to your Project Directory. For Windows users, Open the Project folder and right-click on the white space by pressing Shift Key simultaniously and select Power Shell from the Options. Hit Enter and it will ask you to fill few details. Enter the details and press Enter until it finishes.Enter without adding anything if that field does not apply to you. Choose Yes to finish setup and it will automatically create a package.json file. This command will install Gulp in the Project folder. --save-dev flag is to add gulp as a dev dependency in package.json. Now you will see a folder called node_modules which contains all required files and folders for Gulp. Manually create gulpfile.js file in your project folder and open the file in your favorite code editor. This tells Node to look into the node_modules folder for a package named gulp and assign its contents to the variable gulp. my-task refers to the name of the task, which would be used whenever you want to run a task in Gulp. You can run the task in the command line by typing gulp my-task. To test it out, let’s create a simple task that says Hello World! The command line will return a log that says Hello World. For example, we will install and configure autoprefixer plugin. Once installed, copy the sample code to our gulpfile.js file. Make sure the source path and destination path is correct. In our case its same as we named earlier. Now all installation done, you need to run gulp tasks to do the tasks we defined in the js file. To run multiple tasks in one go, you can add the following code in the js file. That’s it. This is just a starting point and there are a lot more you can do with Gulp. 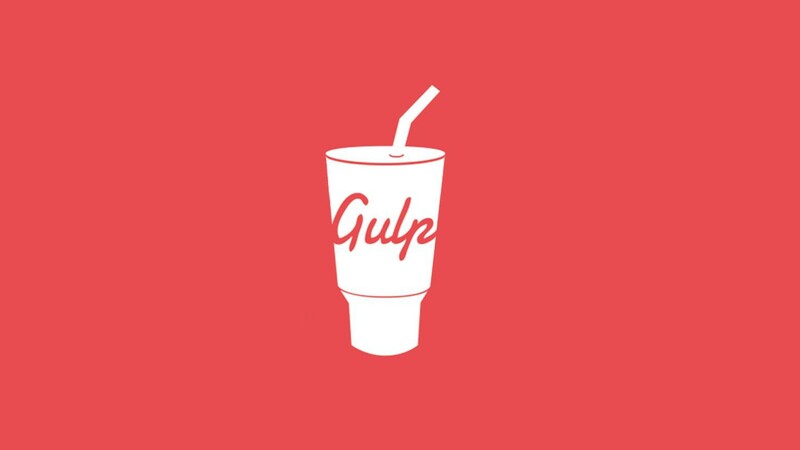 Please read on further articles to get to know more about the Gulp and its features. If you think this tutorial is helpful or if you have any questions, please leave a comment below.